The holiday season is fast approaching and in the world of smartphones the two biggest names will be in a massive battle, with Samsung and Apple fighting for the precious number one spot to be the top seller at Christmas. These two mammoth brands are always at loggerheads with many consumers staying loyal to one or the other but if you have a smartphone on your holiday wish list, is an Apple or Samsung device more likely to be your first choice as stocking filler? 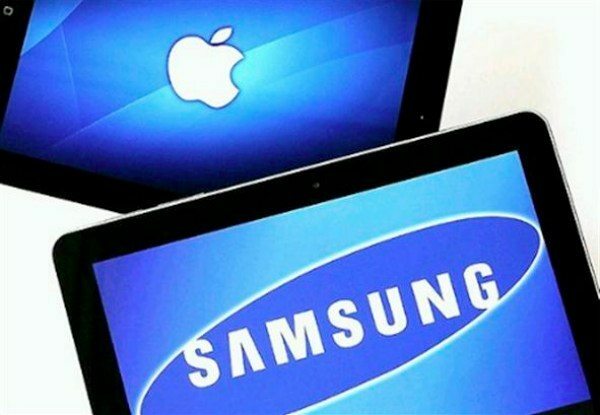 The ongoing legal battles between Samsung and Apple still grind on and frankly many consumers are now fed up with continuing patent issues and just want a shiny new smartphone to focus their attention on. Of course for many customers their loyalty is not only to the brand but to an operating system so that those who want to use Apple’s iOS are likely to opt for an iPhone 5 or previous iPhone model. Android enthusiasts on the other hand have a far greater choice of manufacturers devices to choose from but Samsung always emerges on top, with many Android handsets available and its two flagship devices at the moment, the Galaxy S3 and the Galaxy Note 2. Yesterday we took a look at what the Galaxy S4 and iPhone 6 may have to offer, although of course for now this is purely speculative. We wondered what would happen if these released at the same time so we saw a real head-to-head contest between these two top phone lines. That’s not likely to happen anytime soon though so for now at least we can concentrate more on whether Samsung or Apple will come out top in the Christmas sales spot and we’d really like our readers’ input on this. The Samsung Galaxy S3 has now been out for several months and has achieved huge sales figures of over 30 million units. It continues to sell well but for lovers of handsets with a larger display Samsung fans also have the choice of the Galaxy Note 2. This has only been released in some regions in the last few weeks and has already reached sales of around 3 million and that’s before it arrives in the U.S. later this month. Of course there are plenty of other Samsung handsets to choose from so when you consider this extra choice available Samsung would appear to be dominant and on top of this the Google Android operating system is also the most dominant OS. Apple on the other hand only has the one new phone, the iPhone 5 that was released in September. However despite the fact that consumers who want an Apple phone for Christmas have less choice of new devices Apple has already claimed that the iPhone 5 sold more than 5 million units in the first three days on sale, so we can only imagine at the moment what that figure stands at now. With Christmas wish lists in mind you may also be interested in our previous article comparing the LG Nexus 4, the Galaxy S3 and iPhone 5, which could help you decide the right choice for your needs. It will certainly be interesting to see whether it will be Samsung or Apple that wins the Christmas top seller title and we’d really like to hear from readers about this. Are you more likely to add a Samsung or Apple device to your ‘most wanted’ list? Let us know with your comments.